In a couple weeks, movie goers will be able to sit down and watch Ready Player One, based off Ernest Cline’s 2011 book of the same name. The story is basically about teenager Wade Watts living about 25 years in the future, and using his knowledge of 1980s pop culture to find a real-world treasure hidden by a game designer in a virtual reality game. Pop culture references abound in the story, ranging from Pac-Man and Zork to Blade Runner and WarGames. 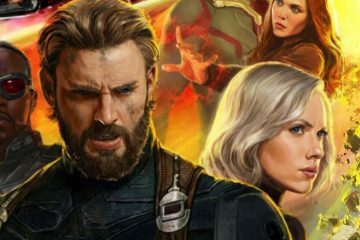 The marketing for the movie capitalizes on the story’s unabashed love of the era’s pop culture with a series of movie posters that are clear homages to famous movie posters of that time. 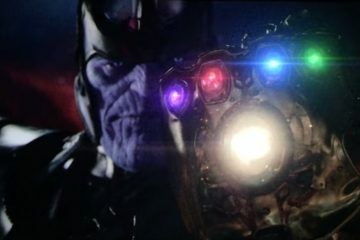 About a month later, Avengers: Infinity War will hit theaters. 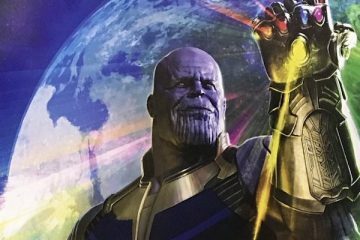 The story here is that Thanos, a villain who’s appeared in cameos in many of the Marvel movies, launches his plan to wipe out half the population of the entire universe and it takes all of Marvel’s heroes to stop him. It’s based on The Infinity Gauntlet comic book series from 1991 by Jim Starlin, George Pérez, and Ron Lim. Since that particular story, however, is mostly only known within comic circles, the marketing here pays less overt attention to the source. 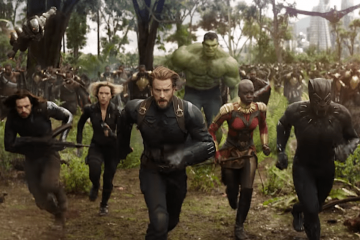 Interestingly, though, they still dive heavily into nostalgia by playing up the notion that the Marvel Cinematic Universe is now a decade old; the first Iron Man film coming out in April 2008. Nostalgia today can be seen more as a memory of being happy. Recalling a time and place where a person enjoyed life a great deal more. Though such recollections are frequently seen through rose-colored glasses, the memories help to distract one from any difficulties being faced currently and can lead to an improved mood or attitude. Harvard professor Svetlana Boym went on to point out that “nostalgia inevitably reappears as a defense mechanism in a time of accelerated rhythms of life and historical upheavals.” That is, we see more interest in nostalgia as a society on the whole during times of significant change. I doubt that anyone with an inkling of what’s going on in the world today would argue that there aren’t significant changes happening in the society on the whole right now. Even moreso than when the original creators were crafting their stories back in the day. So it’s hardly surprising that both movie makers and old school fans would clamor for a return to more enjoyable time. While that may be mentally necessary to some degree as a means of self-care, wallowing in that mindset without acknowledging the changing societal events around you is, at the very least, extremely dangerous. Art reflects the culture its made in. Those of my Facebook friends who seem to refuse to acknowledge the world exists outside their immediate family and the local sports teams will be in for even a greater sense of future shock when they wake up to realize that the recursive media they’ve been reveling in was commenting on years gone by, and not their current environment, leaving them even less prepared for a society they increasingly no longer recognize. Society doesn’t change overnight; it only seems like it when you’re not paying attention and repeatedly gorging on the entertainment of your youth.